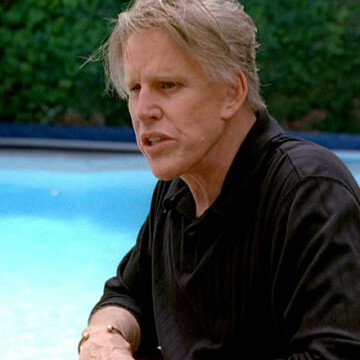 Gary Busey portrays himself in three separate episodes of Entourage. His first appearance is in the series’ sixth episode, which has Gary showcasing items at an art exhibit. During Gary’s most recent appearance in season four, Vince pleas with him to secure a desk that he’d like to see in Eric’s new office.